Hi Jill Ramsower :) Glad to have you here. Now, to start, what inspired you to write the "Fae Games"? How would you describe the story to someone who hasn't read it yet? The duet focuses on an American girl named Rebecca who moves to Ireland for a new job and discovers the world of the Fae. She has a sassy BFF who helps her along the way and encounters a couple of mysterious Fae men who complicate her life. (No love triangle, phew!) In a sentence, I’d say the books are a fast-paced romantic adventure in a world where fantasy and mythology collide. Describe Lochlan and Becca in 3 words each. What do you think makes Lochlan appealing? How about Becca? Lochlan doesn’t take crap from anyone and is a powerful, competent leader—those characteristics combined with a weakness for a special lady makes a man irresistible in my eyes. As for Becca, she is grounded and that is huge for me—I hate when female characters get overly dramatic and do dumb stuff. She’s courageous, persistent and loyal to a fault. How did you create your characters? Were they inspired by real people? I didn’t intend to write my characters based on myself, but as they developed, I came to realize that Becca and her best friend, Ashley, were essentially two versions of me. All growing up I was very quiet around people—I didn’t have a ton of friends and preferred reading to going out. I struggled with anxiety and it often kept me from being who I wanted to be. When I was able to overcome the anxiety issues, I truly became a different person. Becca is based off my more reserved and pensive side whereas Ashely is my outgoing, adventurous side. What scene did you have the most fun writing? Why? That’s tricky because the scenes that are the most fun to write are the pivotal moments that I simply can’t spoil. 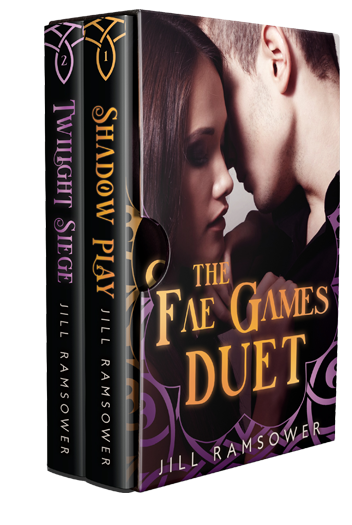 The final chapter of Shadow Play was a favorite and chapters 10 & 11 in Twilight Siege. Particularly poignant moments are also fun so I’ve included an excerpt below from Chapter 14 of Shadow Play where Becca and Lochlan have a rare tender moment. “You should never have been involved in any of this to begin with.” His hard voice was firm and didn't bode well for accepting my apology. I could tell his question was rhetorical, but I responded anyway. “Do you really want me gone?” My hands clasped together in front of me and my traitorous eyes began to burn with unshed tears. He faced me, his features hard and he strode to me, his mouth colliding with mine. His strong hand on the back of my neck tilted my head up to give him better access to my mouth as his other hand reached behind my back and pressed my belly against his solid front. Taking advantage of my surprise, his tongue dove between my lips with a possessive thrust and my hands fisted in his shirt. I hadn’t known that I wanted this assault, but his body against mine felt like coming home, and I was instantly swept up in the kiss. My skin ignited as he consumed me and I could feel my core desperately clench in need. Just as I started to lose myself in his arms, he slowly pulled back and I tried to catch my breath as he spoke in a low rumble. Why do you write fantasy romance? Someday I’ll probably do other types of romance novels, but I don’t think I’ll ever write anything without romance. When I read books, if there’s no romance I lose interest fast, so I can’t image I’d ever want to write a story that doesn’t contain a predominant romantic thread. I started small—taking notes on who my characters would be, what would bring them together, what might keep them apart, what obstacles would they overcome, and so on. When I had crafted the characters and locations, I started with a super basic outline of events—girl goes to Ireland, girl discovers Fae, girl meets boy…Then I would flesh out and add to each area until little by little the story encompassed a full book. The next two books have been the same. I know who I want to write about, then I get to daydream their story into existence. Nope, I write in the quiet, if I can find any in a house with a husband, three kids, three cats, and two dogs. I had no idea I wanted to write. I always loved research, which was one of the big reasons I went to law school. I hadn’t written anything besides legal documents since high school creative writing class. (And that had been a long, long time. Long time.) Several years ago, I decided to try to write and didn’t get a whole chapter written before I gave up, thinking I had no idea what I was doing. This time everything just clicked. I’m 40 years old and out of nowhere I discovered I had a passion, who knew? My husband, parents, and best friends are all a big part of my writing process. They all act as beta readers and give me loads of amazing advice on the basic story. Once I’m happy with the foundation, I send the book to my editor and let her do her thing. Then I make rewrites according to her suggestions, have my husband read the book AGAIN, make more tweaks, then send the book to my dad for a proofread. (We have an unspoken agreement not to discuss any of the steamy scenes in the books.) So far the system has worked out beautifully and I’m so grateful for all of their help! I can’t even remember what I read as a child except that Little Women and The Outsiders made me cry hysterically and I hate crying. When I was younger I read all the Babysitter’s Club books and then moved on to young adult historical romances. I will say that Jane Austen has always been a favorite, in particular, Pride and Prejudice. I do love a bad boy and Mr. Darcy was the original. Can you tell me some of your favorite authors? How about books? Hands down my fave is Karen Marie Moning, she is my idol. Some of my other go-to authors are Cassandra Clare, Sarah J. Maas, Callie Hart, LJ Shen, Ashley Zavarelli, Bella Jewel and I can’t forget Miss Kristen Ashley. If you’re curious about what else I’ve read and reviewed, check out my Goodreads page! Shades of Betrayal will be out December 1, 2018 and I’m super excited about it. I brainstormed and discussed the Duet with friends and family, but this book just took shape so quickly on its own that not a single person knew anything about it aside from myself. The book is set in The Fae Games world and tells Ashley’s story, basically picking up where Twilight Siege left off. Ashley is sarcasm and wine and everything fine—early readers are loving her character and I’m excited to share her with the world! In addition, I’m currently writing the fourth book that will be out sometime in the Spring of 2019. Do you prefer the sea side or the mountains? I enjoy both but my preference is the mountains, they’re just so beautiful! I do love print books but I gave in years ago to the temptation of cheaper reads and converted to kindle. Definitely movies—I have a short attention span and can never get far into a TV series. Jenna entered a fake marriage ten years ago when she was young and reckless, in hopes it might advance her failing Hollywood career. Ten years later, she can’t undo her mistake. Her A-list husband is too famous—and too cowardly—to admit he’s in a long-time gay relationship with a fellow actor, and at thirty-four, Jenna’s dreams have faded to dust. Then Caleb Winchell enters her life. 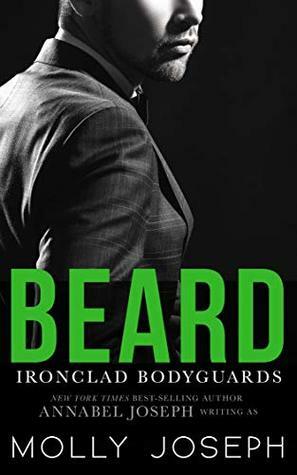 The taciturn, Texas-bred bodyguard is as handsome as he is capable, and Jenna’s lonely world is rocked. He’s a true and honest force in her dishonest existence, standing by her side as she fake smiles her way through the smothering farce of her life. Caleb helps her breathe again, but she can’t act on her deepening feelings toward her bodyguard. He’s a professional, and he never breaks the rules. And she’s a married woman…even if it’s all a sham. I loved this book! Ms Joseph always writes amazing stories with really complex characters.